Martin Scorsese is one of the most renowned movie directors of his time, with having directed award winning classical movies; such as Raging Bull, The Departed, and Shutter Island; all of which are rated R movies. Now, Martin Scorsese steps out of his norm and introduces his very first family film, Hugo. Martin Scorsese demonstrated his flexibility to directing movies by creating another masterpiece that will go down as one of the greatest movies he has ever directed. The movie is about a young boy named Hugo Cabret who takes residence in a train station in Paris, France. He lives in the interior of the train station, fixing and managing the clocks in order to hide his identity and avoid being sent to the orphanage by the station inspector. In his free time he works on fixing an automaton, which belonged to his father. Hugo believes that there is a message from his deceased father inside the automaton’s workings. While collecting parts for the automaton, Hugo encounters a toy shop owner who will change the direction of his life. Through that instance, he will eventually meet his adopted daughter, Isabelle, who will spark the adventure to discover the secrets within the automaton and uncover the history of movie making. Hugo is a movie unlike any other movie ever created. Hugo is a kids movie not for the kids and is more suited for adult and teen audiences as it requires more developed minds to understand the plot structure. The film has garnered criticism in the beginning, as critics say that it takes too long to get to the “good stuff”. I personally loved the whole movie, but if the beginning bothers you, it is worth it in the end. The movie’s plot and ending is amazing to watch and uncover. The actors’ performances in the film are outstanding. Asa Butterfield is an amazing child actor that best fits the role of Hugo Cabret. Chloe Mortez fits the fun and adventurer loving girl, Isabelle. Ben Kingsley’s acting is an amazing triumph over drama and his character evokes feelings of sympathy from the audience. Sacha Baron Cohen has shown another side to his acting. The former lead of Borat shows his British accent and his serious side as an actor. The film MUST be seen in 3D. Martin Scorsese has integrated 3D to the film and it is not simply used as a gimmick. Scenes that contain objects or monuments like the Eiffel Tower pop out and is extremely enjoyable to look at. The scenes look and feel real. The soundtrack is beautiful and fits the film as it is enjoyable just to listen to alone. Mildred Pierce is one of the most realistic movies I have ever seen based on the reality of human interaction. In reality, people are out for the benefit of themselves and this film best describes that reality. The film encompasses the themes of greed and love as Mildred, the mother of her greedy daughter Veda, works her way up the social class to garner up money to impress Veda and obtain her love. Mildred worked as a waiter and created a restaurant in order to feed Veda’s ever growing love for money. However, where is the line between kindness and insanity? Through her outstanding performance in Mildred Pierce, Joan Crawford displays the reason why she deserves the Academy Award for Best Actress. Mildred shows her love for her family as she takes action in bettering their lives after a horrible divorce. The film is in black and white but it is still amazing and enjoyable to watch. The film has an amazing plot that is interesting throughout the movie. Although the film is old, it’s themes demonstrate the destructive power of human greed and the amazing power of human kindness and love that we see today. Those themes are prevalent throughout the movie and are integrated in the actions of the actors. On Halloween, Americans across the nation indulged in all things scary, gory, and horrifying. We love to sit on our couches and cringe at the terrifying images of horror icons like Michael Myers and Freddie Kreuger, but in my opinion, only one film invokes the true instinct of fear. 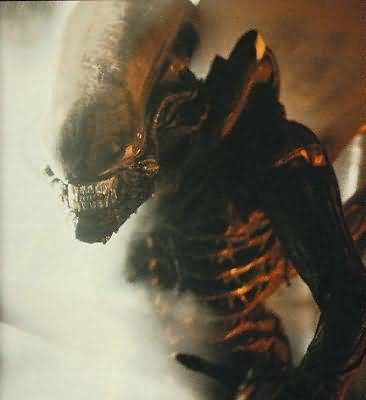 That masterpiece is director Ridley Scott’s Alien, which succeeds simply in condensing the raw emotion of fear into a two hour thrill ride. Set in the kind of future that has been frequently interpreted by countless other film visionaries, giant mega-corporations rule space and seek only to exploit anything it offers. A small team of interstellar ore-haulers are awakened from their cryo-sleep because the computer has discovered a radio signal, and they are under orders to investigate any alien activity they find. Events begin to take a turn for the horrific, however, when the infamous face hugger engages in its unusual form of reproduction. The iconic chest-buster scene is where the fear truly begins, and the actors appear extremely terrified because they truly are (Scott did not tell them that fake blood would shoot out of the chest). As the crew splits up to search for the mysterious beast, they succumb one by one to its dripping maw while descending further and further into their depths of instinctive fear. Fear is the product of the basic fight-or-flight instinct, and running away through the confines of a spaceship can only take you back to where you started. Weaver and the rest of the cast are perfect in their depiction of their struggle for life, but H.R. Giger’s mysteriously horrifying alien is the true star. Although it is never seen in its entirety, it manages to be everywhere and nowhere at once, foiling all of the crew’s efforts to stop it. To see this brilliant manifestation of every nightmare you have ever had is reason enough to see Alien, but the enchanting universe is equally effective at drawing the viewer and forcing them not to look away. I cannot describe the feeling of sheer terror that Alien evokes, and this is the one scary movie that you simply must see for yourself. Having been busy with many activities, I haven’t had the chance to go to a movie theater in a while. The last movie I had seen in theaters was “Scott Pilgrim vs. the World”, which I really enjoyed, but was disappointed by its overall gross at the box office. Here are reviews of a couple movies I have seen recently. Since the year 2000 the film industry has been struck by one actor that has played pivotal and diverse roles, not only in dramatic features but also in controversial documentaries. 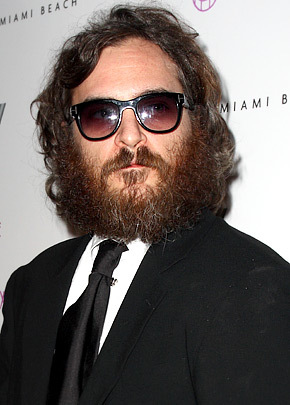 Joaquin Phoenix emerged into the acting scene in the 1980’s and 1990’s in minor roles before his breakout role as Commodus in Ridley Scott’s Academy Award-winning film Gladiator. 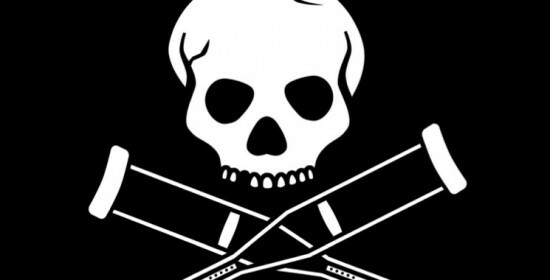 This earned him an Oscar nomination for best supporting actor and sparked his career into one of the most followed, and now one of the most controversial of the decade. He later stared in Signs, The Village, Hotel Rwanda, and as the hero firefighter in the 2004 film Ladder 49. He emerged into fame in 2005 through his most well known role as Johnny Cash in Walk the Line, starring alongside Reese Witherspoon, recording the films soundtrack, earning a best actor nomination, and winning a Golden Globe for the role. Perhaps all these roles have been surpassed by his recent actions. In 2008, Phoenix announced that he was retiring from the film industry at the age of 35 in the prime of a successful acting career to become a rapper. This decision formed into a social controversy when he appeared on the Late Show with David Letterman on February 11, 2009. Sporting a new eccentric personality, Phoenix behaved incoherently and was mostly unresponsive to Letterman’s questions about his final feature film, Two Lovers. Since then, he has moved along with his rapping career, starring in Casey Affleck’s documentary I’m Still Here, which profiles Phoenix’s retirement and rap career. 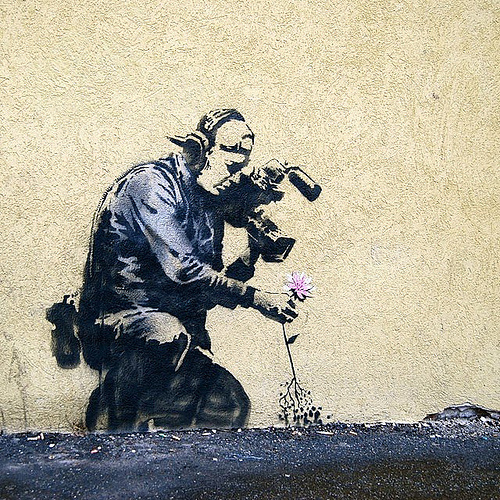 A bombshell hit the industry when Phoenix announced that the documentary and his retirement was all a hoax, and the documentary I’m Still Here was actually a film profiling the effects of the media and modern society on the movie industry. Phoenix appeared on the Late Show with David Letterman once again last Friday, formally apologizing for his behavior on the show in 2008. He wanted publicity to spread, thereby making the film relevant. The cause for the film was Phoenix and Affleck’s interest in “reality” TV programs. Phoenix expressed the intrinsic idea that when people think something is real, it doesn’t matter how ridiculous it may seem. With this idea in mind, Phoenix came up with then notion to prove this fact by “retiring” from a prestigious acting career at age 35 and becoming a rapper. Though the movie nearly jeopardized Affleck’s career, his hoax proved Phoenix’s theory. There is one inexorable fact from these recent occurrences in Phoenix’s career: Joaquin Phoenix has become one of the most pivotal and dynamic actors of the decade, and this profound actor will continue to play and imperative role in the movie industry for years to come. The newest teen comedy comes to us in the form of Easy A, yet another witty film featuring up and coming actress Emma Stone (Zombieland, Superbad, The House Bunny). In the movie, she stars as Olive Penderghast, a typical teenager drifting through high school whose life is thrown into a whirlwind of social dilemmas after a false rumor about her intimate exploits at a party swarms through the campus. After Olive lies about her weekend to end the incessant prodding of her best friend (played by Aly Michalka), the comment is overheard and spread amongst the students by her social rival (Amanda Bynes). The ailing status of Olive’s reputation is only worsened after she agrees to lie about sleeping with a gay friend (Dan Byrd) to fend off his bullies, eventually resulting in a rapidly growing business of fake services. As Olive rides her new negative attention to the highest tiers of high school popularity, identifying herself with The Scarlet Letter‘s Hester Prynne, her friendships and commitments gradually crumble until her entire system crashes down. Citizen Kane is Orson Welles’s legacy. It’s difficult to imagine that a 24 year old director was given the helm of the largest movie project in history up until that point, but Welles came through by producing quite possibly the greatest film in American history. The film is an account of the life of the media emperor William Randolph Hearst, portrayed fictionally as Charles Foster Kane, the wealthiest man in America, played by Welles. The story is driven by a reporter assigned to figure out the true meaning of Kane’s puzzling last word: “rosebud”. The reporter meets with the most influential people in Kane’s life, including his best friend at the New York Daily Inquirer, his butler, his manager, and his second wife, Susan Alexander. Each recalls Kane in a different light. Bernstein, his manager, tells of a witty, exuberant Kane while Susan Alexander moans over Kane’s cold self-indulgence. The reporter never gets any answer he can work with, and though the origins of “rosebud” are eventually revealed, the metaphor is either hollow or something one could have already guessed. 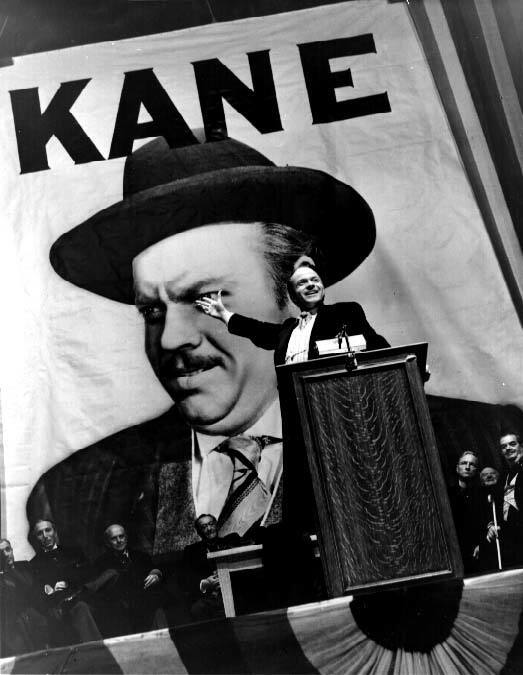 The film is laden with witty one-liners and classic, almost chilling quotations from Kane (“I think it might be fun to run a newspaper…”).It takes 25 minutes for Kane to make his first appearance on screen, but from the beginning Welles plays the colossal yellow journalist with aplomb. The ensemble has great chemistry, but no one gives a better performance than Dorothy Comingore, who plays the strong, tormented Susan Alexander. Her early years as Susan portray her as a flighty, Hollywood mannequin, but she eventually develops into the classic dramatic woman scorned. Taken at first watch, this movie is obviously well made. What makes it elite, however, is its style. Most black-and-white films feel understandably dated, but for a film that will celebrate its 70th anniversary next year, it was decades ahead of its time. Any film that uses multiple flashbacks or a narrative that freely jumps around the years should give all credit to Citizen Kane. Welles’s marvelous storytelling, gigantic sets, and impeccable delivery leave this film feeling fresh three generations later. Whether it was the greatest film in American history will be debated for years (it neither broke even at the box office nor won the Academy Award for Best Picture), but its importance is undeniable. Orson Welles’s portrayal of the Sultan of San Simeon is nothing less than triumphant.